Remem­ber that time? 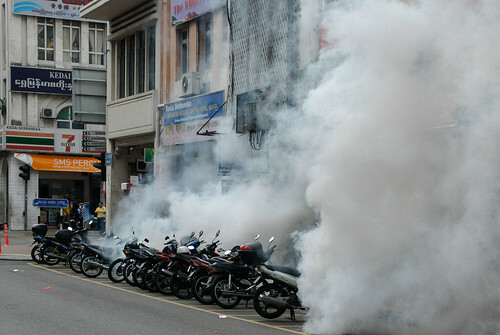 That time that the police forces shot tear gas into emp­ty streets, that time when they act­ed like a hero with their hero­ic cry march­ing down the street. This inva­sion by a group of for­eign nation­als threat­ens the safe­ty of our coun­try and cit­i­zens from exter­nal attacks. Instead of appro­pri­ate coun­ter­mea­sures by the mil­i­tary, the incom­pe­tent Home Min­is­ter want to show­case his nego­ti­at­ing skills. The gov­ern­ment bul­lies the unarmed civil­ians and when faced with armed intrud­ers, their balls shrink.